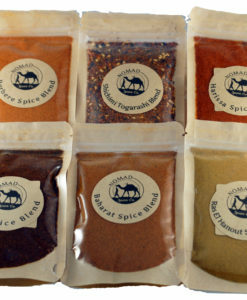 Curry Powder Collection | Nomad Spice Co. So what the heck is curry? Curry is a dish originating in the cuisine of the Indian subcontinent. 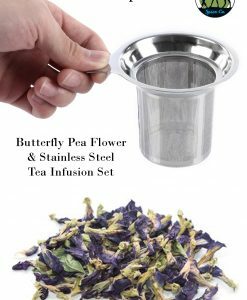 The common feature is the use of complex combinations of spices or herbs, usually including fresh or dried hot chillies. 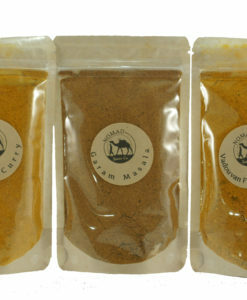 Garam Masala is a traditional North Indian blend of hot and savory spices. 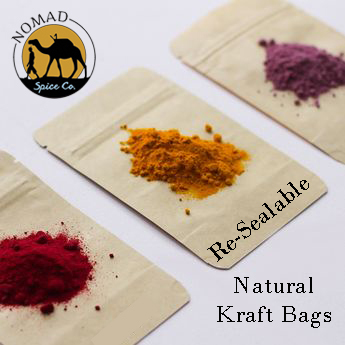 A blend of Coriander, cumin, cinnamon, black pepper, cloves, turmeric, and canola oil. 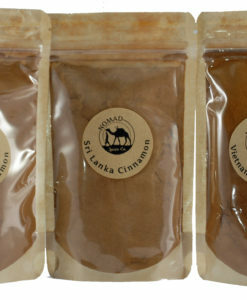 Madras Style Curry Powder is a standard take on southeastern India curry powder. 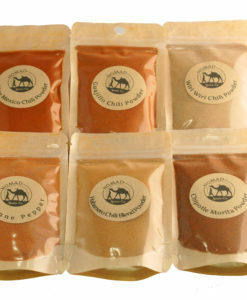 Our Madras Curry is a blend of toasty, earthy spices for a vibrant, fragrant seasoning blend. 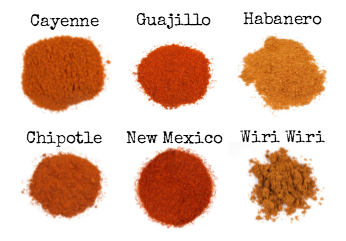 Spices, turmeric, salt. Contains mustard. Vadouvan French Masala is a sophisticated French interpretation of Indian-inspired curry powder. Vadouvan contains less ginger, chile pepper, and nigella seeds, while cardamom, turmeric, mustard, shallots, and sugar are added to make the flavors more palatable. 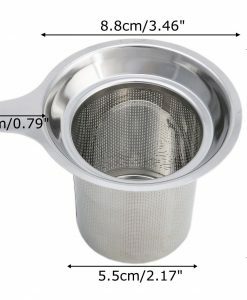 Garam Masala – Coriander, cumin, cinnamon, black pepper, cloves, turmeric, and canola oil. Madras Curry – Spices, turmeric, salt. Contains mustard. 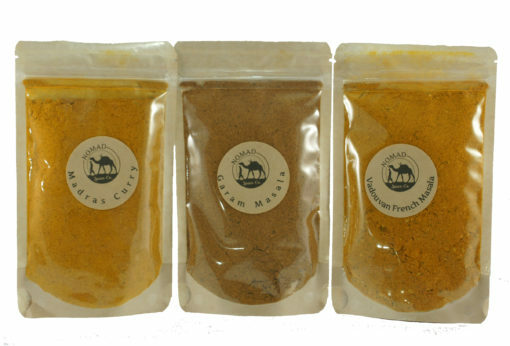 Vadouvan French Masala – Spices, turmeric, salt, onion, dried, chiles, garlic, shallots, sugar, olive oil, natural smoke essence. Contains mustard.